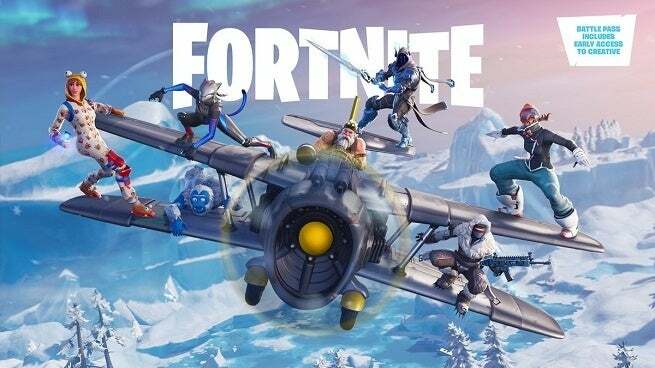 One Fortnite players’ concept for a wintery pickaxe looks like it’s transitioning from an idea to reality in Season 7 according to some leaked files and a familiar item description. The Fortnite player and Redditor by the name of snabobo created a concept for an icicle-themed pickaxe that perfectly lined up with the wintery theme Epic Games was setting up for Season 7. Sharing a post with the concepts for a pickaxe, skin, and back bling around a month ago, the player got some positive feedback from people who approved of the skin. Fast-forward to the start of Season 7, and it looks like Epic Games must’ve liked the pickaxe design too since it’s been spotted in the list of datamined cosmetic items in Season 7. The latest post from the concept creator that’s seen above positions the initial design next to the pickaxe that’s been spotted in the Season 7 files. Fortnite cosmetic-tracking sites like FortniteSkin.com and fortnitetracker.com have the pickaxe listed as one of the items that’ll be released at some point during this season. There’s always the chance that Epic Games would’ve added an icicle pickaxe anyway since it seems like a pretty natural idea to come to given the theme of Season 7, but if you look at the description of the item found in the game’s files, it looks like a clear nod to the player’s concept. The creator originally called the pickaxe “Cold to the Touch,” and that’s the exact same phrase used in the item’s description when it was found in the files. It could be a huge coincidence that the name, description, and even the design are identical, but seeing how Epic Games has taken inspiration from fan-made concepts in the past, it seems more likely that this item stemmed from snabobo’s concept. The player who came up with the idea said at first that they hadn’t heard anything from Epic Games about the pickaxe being added but joked that they hoped the pickaxe would be added to their Locker once it’s eventually made available for everyone. They replied to one of the threads about the pickaxe concept and said they just wanted people to know where the idea was coming from. A later comment from them said they were recently contacted and were told it was from their idea though and said they could rest easy knowing that. Fortnite’s Season 7 is now under way with new Battle Pass skins and other cosmetics available.